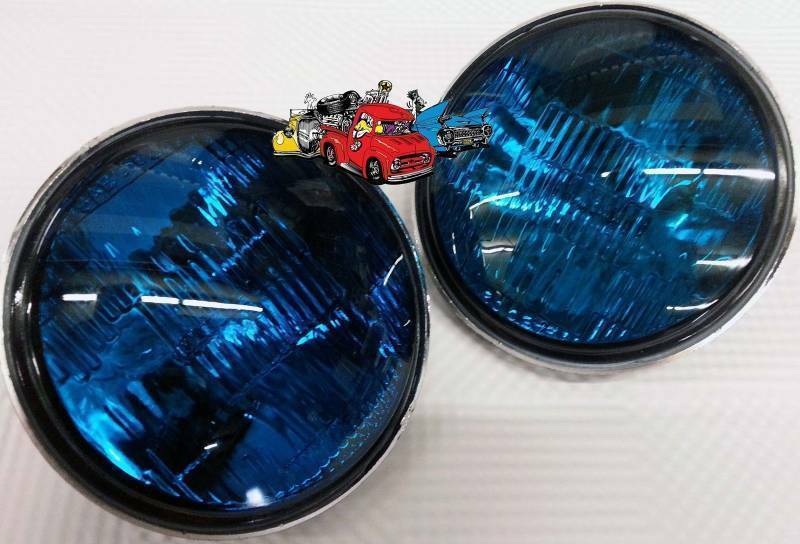 New pair Police Harley Davidson parade Blue glass sealed beam lights motorcycle scooters and much more. H4449B series lights for the DOT. 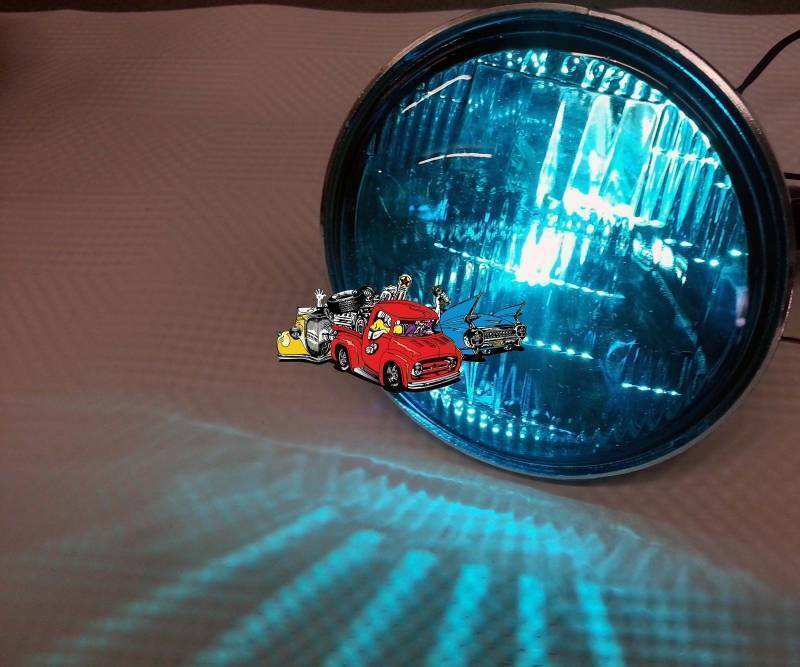 Used for parades in motor scooters motorcycles or any vehicle that can use this new 12 volt sealed beam light. Measures 4-1/2 inches in diameter.